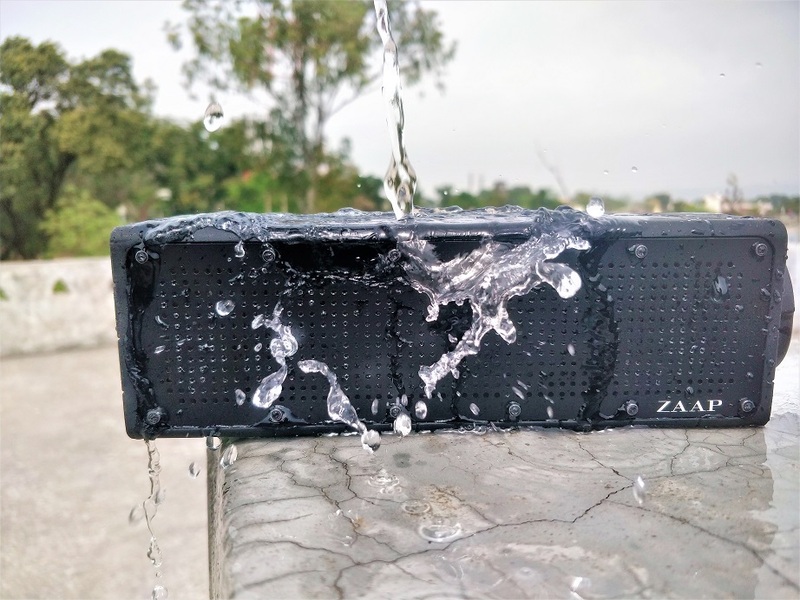 Yes, the speaker has some cons which already discussed but at Rs 2,599, the ZAAP Aqua Pro is value for money deal. 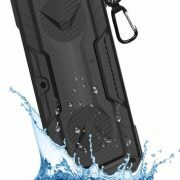 Rugged design; water, dust, snow and shock proof; thumping bass what else we need at this budget price. It is a practical option with good sound output to play your favourite music while chilling up with friends. Battery backup although it is not as claimed, reasonable for 2000mAh battery. Speaker’s body vibrates during heavy bass music. ZAAP, a US-based lifestyle product company lately launched their series of wireless portable speakers in India. 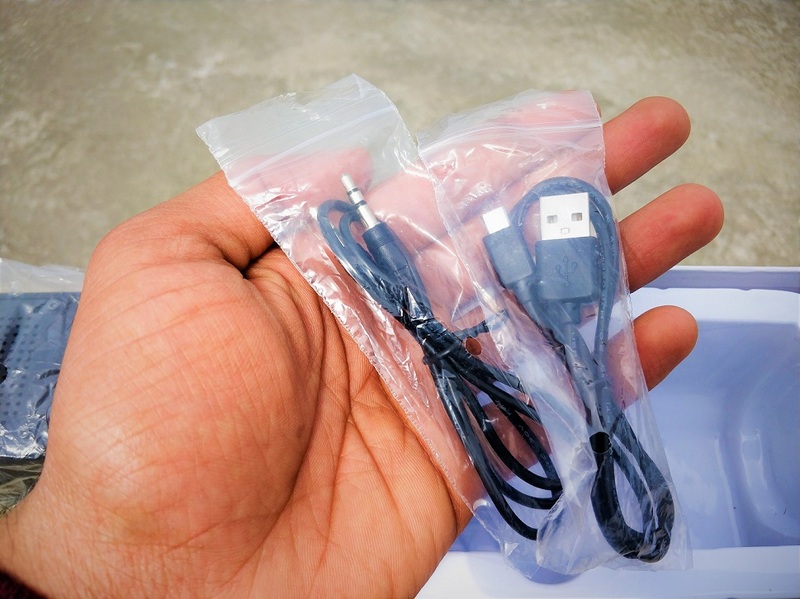 The brand is also known for its other products such as car mounts, tablet stands, cables, cases and more… The main USP of the ZAAP is good quality products under budget. 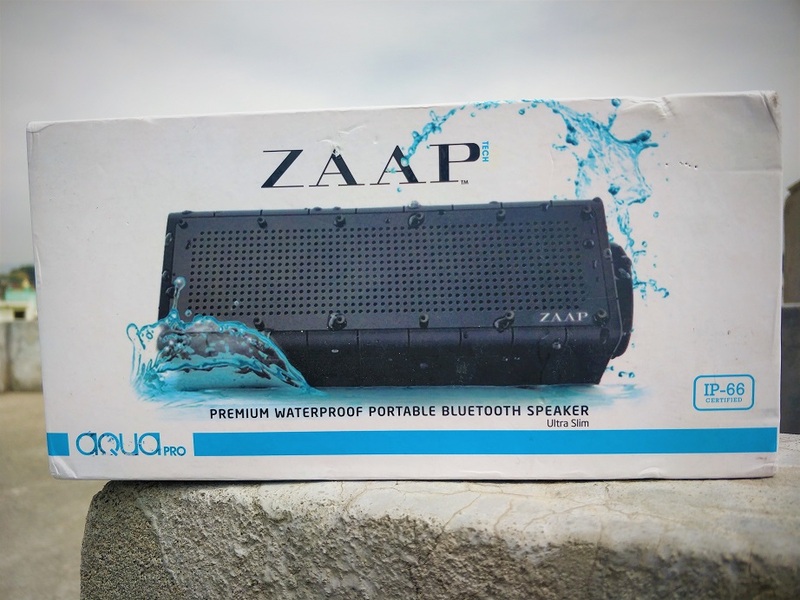 Their recently launched ZAP Aqua Pro wireless portable waterproof and dustproof Bluetooth speaker is a witness of that. 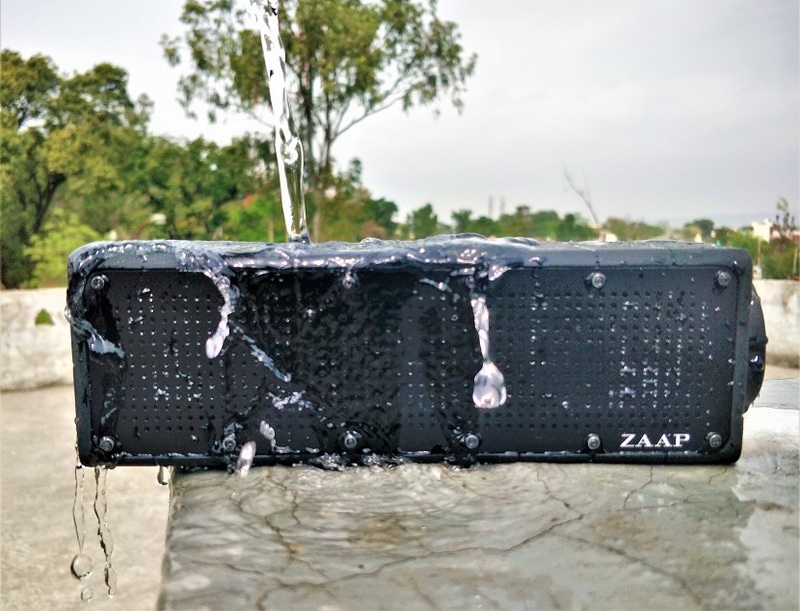 To experience the quality and audio fidelity, we used the ZAAP for more than 14 days in different scenarios: while travelling, indoor and outdoor with smartphone and TV; after all this, here we are with the ZAAP Aqua Pro review to make your decision before going online to buy some portable Bluetooth speaker. 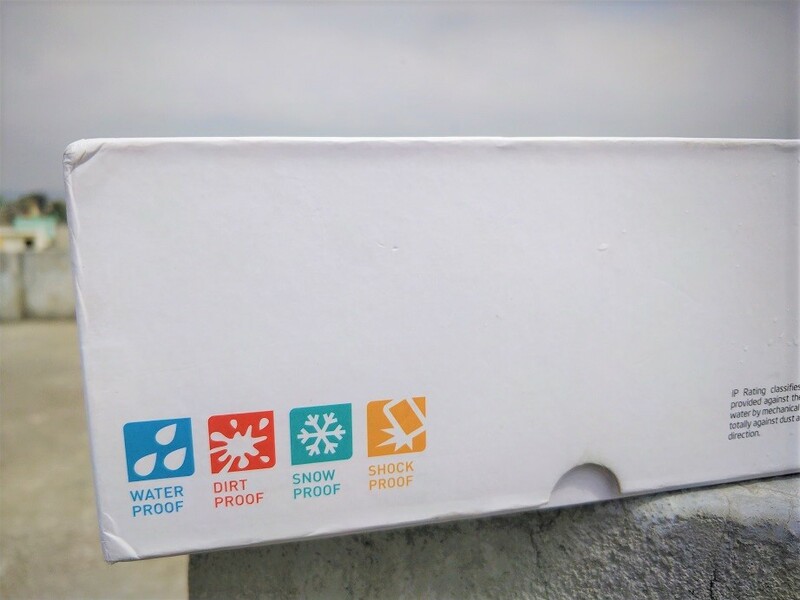 The Aqua Pro comes inside a white colour box with a clear cut image showing exactly how is the device inside the box. On the one side of the box, all the core features of the ZAAP Aqua Pro has been given such as In-built Microphone, Hands-Free calling Rechargeable Battery, 8 hours Single Charge and 10 Meter Bluetooth Range. While another side of the speaker flaunts the speaker’s ability to comabt water, dirt, snow and Shock. Along with a mark of IP-66 certification. 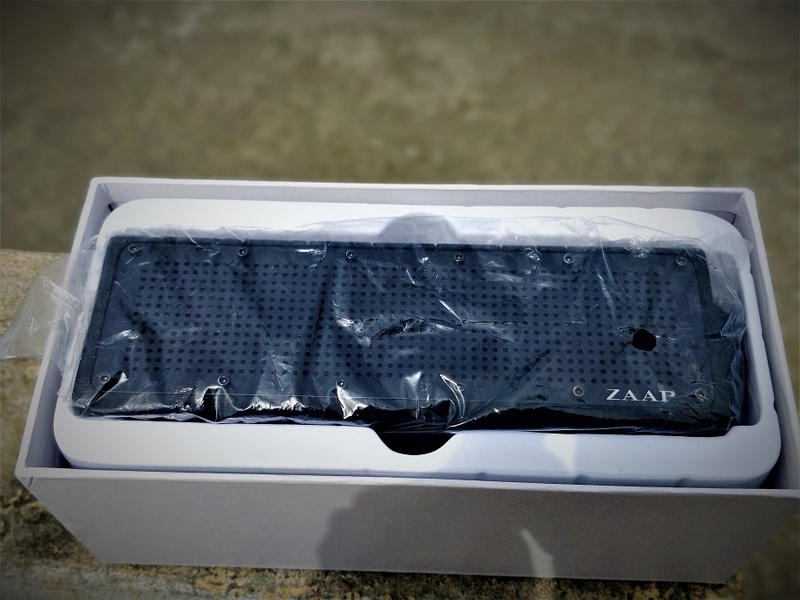 As we open the box, the first thing about to see is the ZAAP AQUA PRO Bluetooth Speaker module itself wrapped in polythene. It placed in a plastic tray with grooves from where the user can easily take it out. Under the speaker, other accessories: 2.0 micro USB cable, 3.5mm two-sided male jack cable (not so long) and user guide are placed. The ZAAP Aqua Pro Design is slightly different from other portable speakers coming in the same range. I said this because, first, its main ports and on-off button are completely camouflaged under a rubber cap. At first glance, it looked like some military grade equipment. Rubber cover on all sides excepts the front to save it from shocks. The rubberized body of the speaker also gives a high level of grip on a table or in hands. 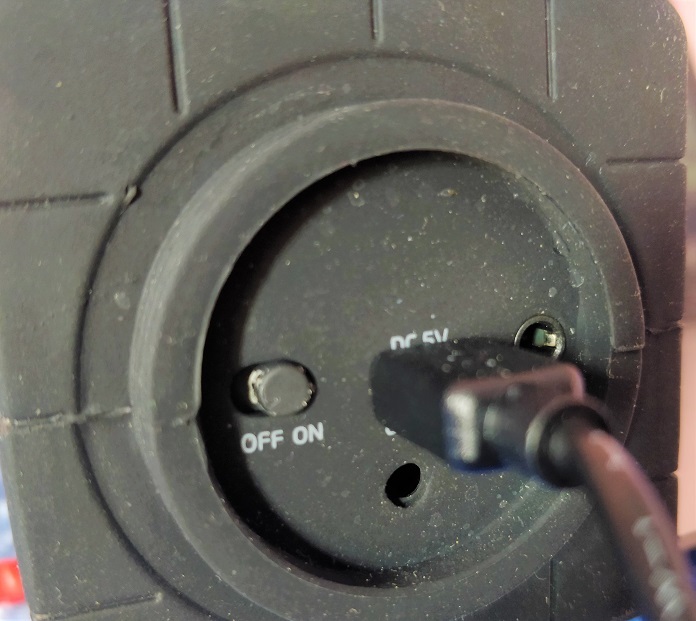 As you can see the below image, the ports 3.5mm Aux and micro USB 2.0 along with on/off toggle button covered with a round cap of rubber that need to be removed for charging, Aux input and to turn on/off the speaker. It also saves the water susceptible components. However, the rubber cover or body of the speaker itself is very catchy to subtle dust particles. 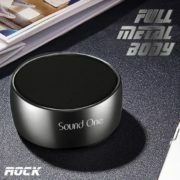 To perform the media control tasks directly from the speaker without getting intimate with smartphone or audio source device; all the buttons are given on the top of the speaker. 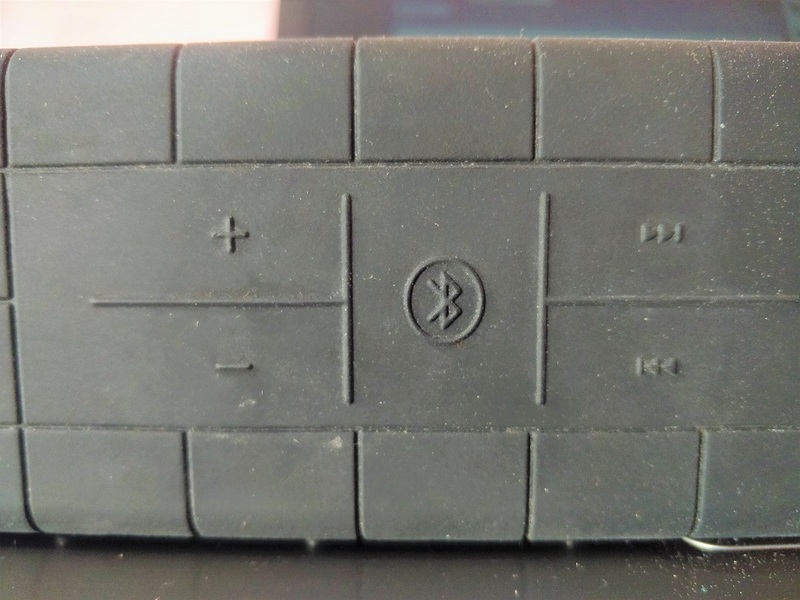 In the above image, the top portion of the speaker given, where you can see the volume curb plus forward and backward track along with Bluetooth in the centre buttons. These are just symbols embossed on the rubber cover of the speaker those are exactly above the real physical buttons beneath it. When we push them, in return, they press their corresponding ones. Coming to the front side of the ZAAP Aqua Pro where the speaker drivers are clandestine behind the perforated metal sheet. Over the same speaker protection plate on the right below side, you will find the ZAAP logo and above that LED indicator. The LED indicator is also placed behind the metallic plate cover which appears in blue flashing colour when the speaker is in a connected state otherwise RED while charging. The budget portable speaker Aqua Pro has a weight of 635 gm and 8 x 21 x 11 cm dimensions. 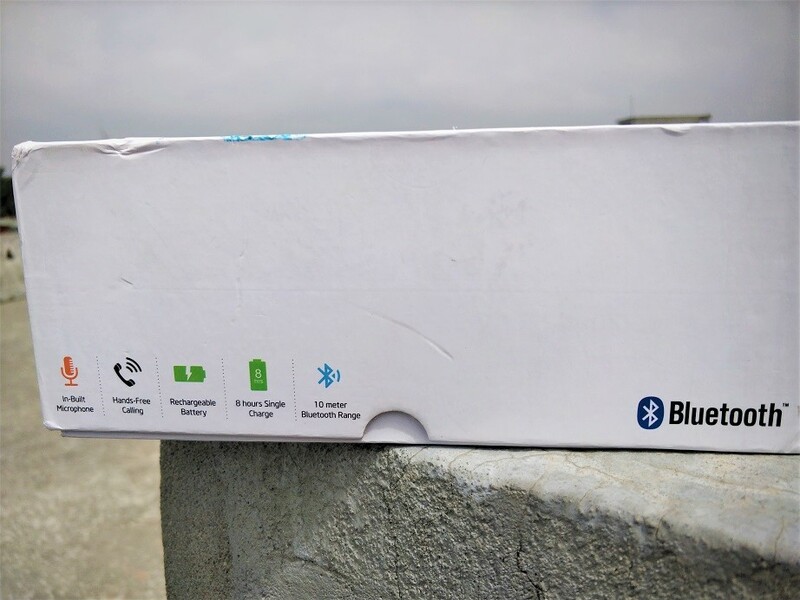 It has the Bluetooth version 4 that can give the connectivity up to 33ft or 10m in obstacles free environment. To protect the speaker from water, dust, snow and shocks, the speaker has passed the standards of IP66 which we have tested too. We dropped it from 2 to 3 feet heights from a table to rough surface to mimic the day to day life mishaps and nothing has happened to it because of the rubberized body. 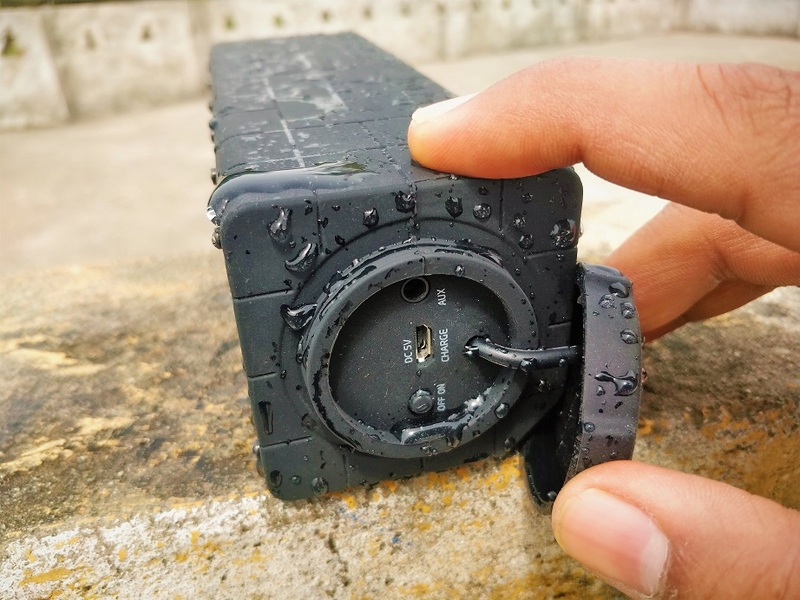 Further, another thing which needs to be tested is water resistance of the speaker. We poured one jug of water, on different sides of the speaker; to take our test to the next level we dipped it in a bucket of water and took it out quickly to see what happens? But nothing had happed it withstand the water without damaging any component in our short test. This means the user can use it unperturbed near swimming pool, in rain or shower. Moving to the next item which is valuable for any portable speaker is its battery backup. 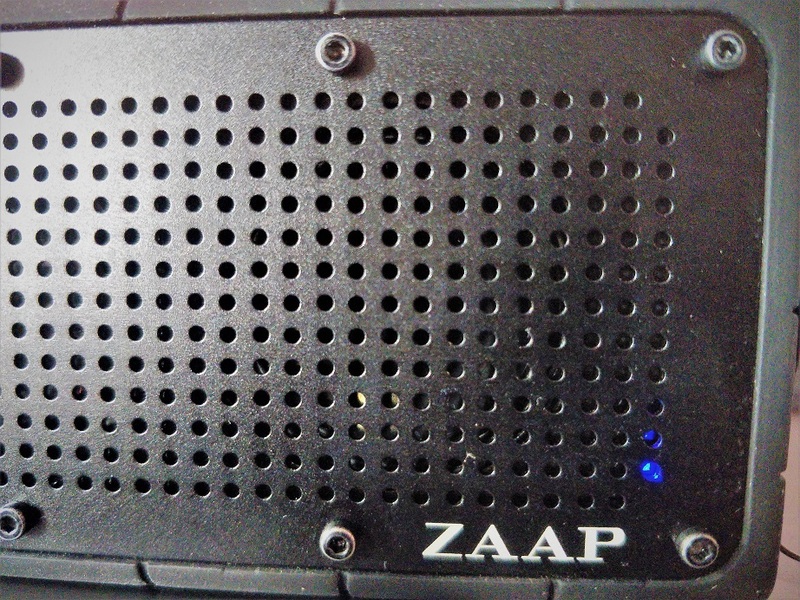 The ZAAP Aqua Pro has 2000mAh rechargeable Lithium-ion battery. 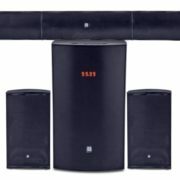 The company claimed the speaker can provide 9 hours of battery backup, however, in our test at full volume, the backup it was able to provide around 5 hours while between 60 to 70 percent volume that extended to approx. 7 hours. However, this is less as claimed by the ZAAP but still, it is great for 2000mAh battery speaker. 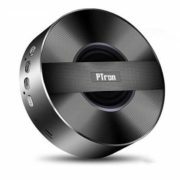 The speaker can be connected to any audio output device with Bluetooth support. It responses the frequency between 90 Hz – 20kHz. The two 40 mm drivers of the speaker have the ability to produce 10 watts of audio output. To measure the quality of the Aqua Pro, we played lots of different genre of songs and one thing is for sure, it has a great bass in the speaker category it falls. However, music fanatics or audiophile not meant for Aqua Pro. This speaker is more entry level-oriented and good for casual music lovers those want a portable companion on the go with high bass. Now, we are talking about the bass, so, I would like to say one thing, Yes, the bass of the speaker is optimal & thumping as per its size which also becomes a con for it. During, the high bass songs at full volume, the speaker starts getting trembled. It will not bother the user unless and until the speaker has not placed on the table. Because the moment you placed it on the table while playing heavy bass; in a few minutes or an hour, it would be on the floor, by the way, it was quite fun while watching the speaker trembling due to bass. Nevertheless, this is not a big issue because we are getting good bass. Also, the heavy bass at 100 percent volume starts drowning out the mids which is quite common in budget range speakers. Enough loud to fill a room but not much for outdoor activities. The reason which I understand about the controlled loudness of this speaker is its small size; heavy loudness of the speaker started causing the distortion which is not in the ZAAP Aqua Pro even at full volume. The speaker also has a Mic for handsfree calling but not much good, to confabulate via speaker’s mic either the user need to speak loud or very near to the speaker then only the person on the other side can listen to our words clearly. I would like to say the speaker’s audio output is optimal at the price of INR 2,599 but not for audiophiles. They have to invest more. Yes, the speaker has some cons which already discussed above but at Rs 2,599, the ZAAP Aqua Pro is value for money deal. Rugged design; water, dust, snow and shock proof; thumping bass what else we need at this budget price. It is a practical option with good sound output to play your favourite music while chilling up with friends.